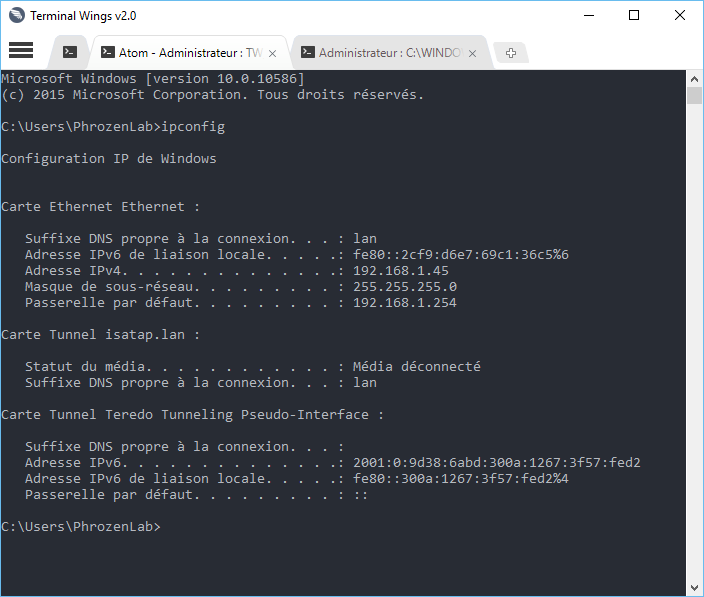 Give wings to your insipid Windows Terminal. 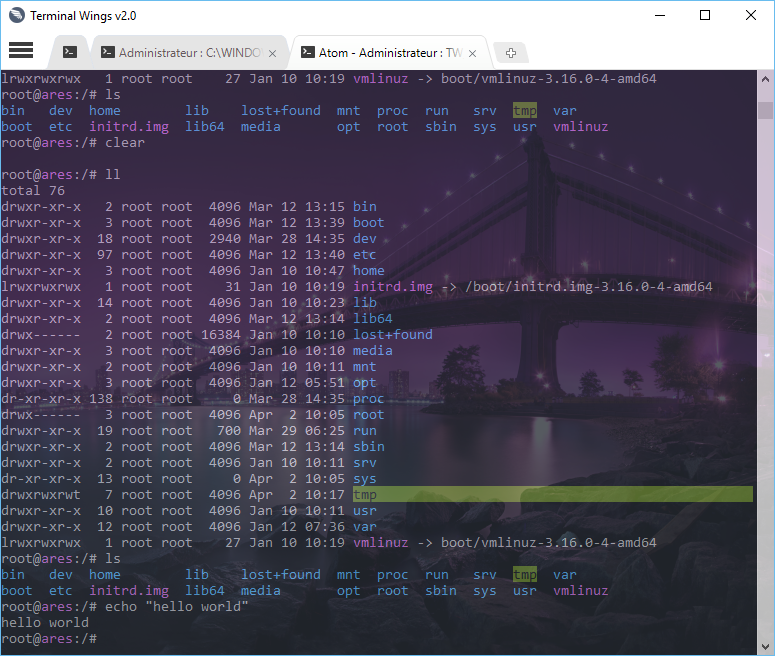 Have you ever been dreaming about having a marvelous Microsoft Windows Terminal, something that's at the same time beautiful, time saving and better to organize when you need to work on several terminals at the same time. 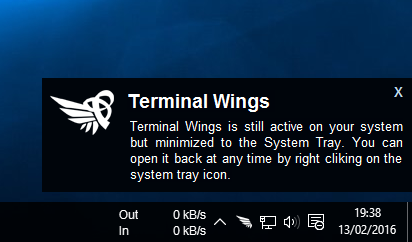 Don’t search furthermore: Terminal Wings is the application you were searching for. Already in its very first version it's very complete and powerful. Imagine what power you could harness in the near future. 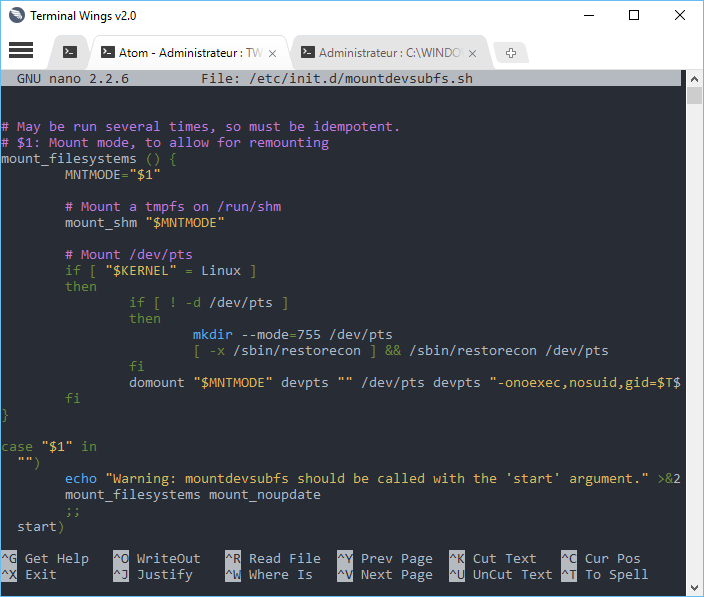 Contrary to other applications which simply try to replicate the same efficiency of the embedded Windows Terminal coded by Microsoft, our Terminal Wings is not such an emulator which “Hooks” the process of a real terminal to 'copy/paste' the screen buffer and display its contents to the custom application frame. It also doesn't create virtual pipes to redirect output/input buffers (stdout ; stdin ; stderror) to capture send and capture terminal commands. The reason we don’t use both above methods is due to the instability of such methods. When you execute regular commands it works pretty fine, but when it comes to use more complex console programs it become quite unstable (depending of the emulator you use). So , what is our solution? Very basically, we do not emulate the Windows Terminal at all, but we use the real one. We Patch the window and associated messages and embed it into our own frame. Well, this might sound very easy, but in effect it is quite complex to code if you want to make it appear very smoothly. Important Notice: At this moment in time, the application is only available for Microsoft Windows 10. Depending on the initial success of this program, we might be tempted to support other Windows versions too. 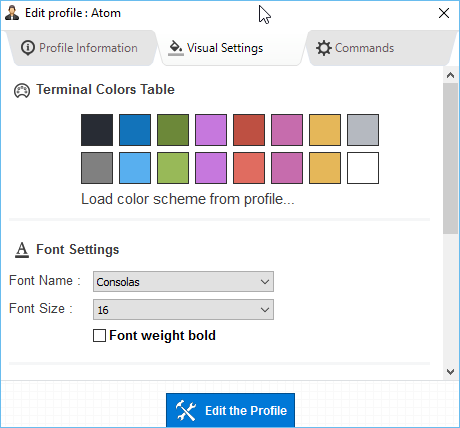 Multi Tabs : Organise your terminals using Google Chrome style tabs. (Support Pin). Single/Multi Instances : Choose wether or not you want to be able to open multiple instance of the program or not. 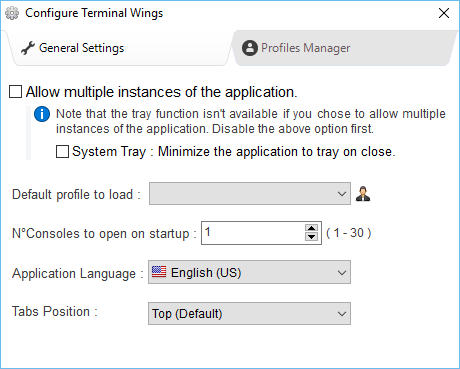 System Tray : Keep your current session open even if you close the application (Minimize to System Tray). Open N° Consoles : Choose how many consoles sessions your want to open at program startup. Console Wallpaper : To make your experience even more better, you can choose a background image for your consoles. 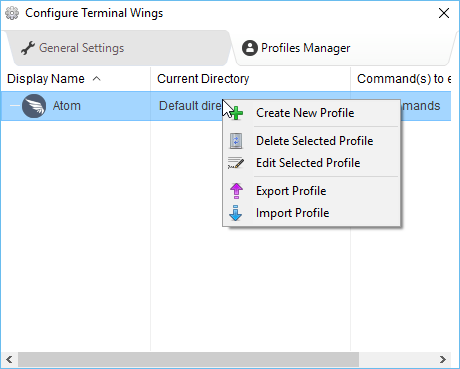 Create Custom Profiles : Create terminal profiles to customize apperence / commands to execute / shell location etc... and load in a single click. 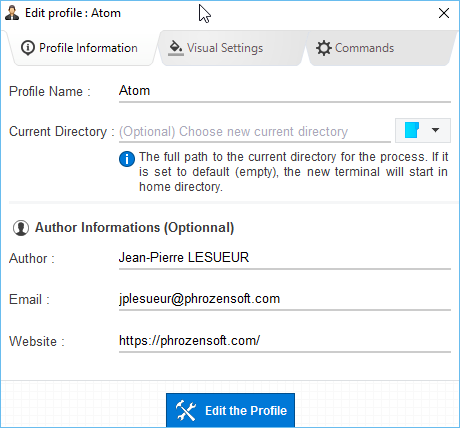 Multi User Interface (MUI) : Since our Windows Privacy Tweaker we are making Multi Language application (French and English). We should support more language soon. 32bit / 64bit ready : You can run this application in both 32 and 64 bit systems. It is recommended to use the 64bit binary if you are using a 64bit machine. 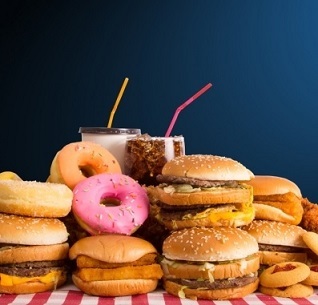 And lots more : Just try it and share if you like it! 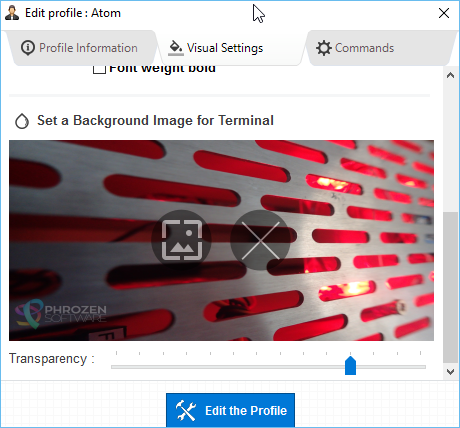 1,026 4,426 Phrozen Software <img src="https://www.oldergeeks.com/downloads/gallery/thumbs/Terminal Wings1_th.png"border="0"> Aug 09, 2018 - 19:58 2.0 6.68MB ZIP , out of 13 Votes.